THANK YOU!!! WE DID IT!! We raised $51,165 for Lubavitch Chabad of Skokie! Help secure the future of Judaism in Skokie! Please help with the last $50,000 needed to buy our neighboring building. Please help reach this goal in the next 48 hours! The Walder Foundation is generously matching all donations towards the purchase of this building. Through a series of incredible and unpredictable events which occurred over the last 12 months, Hashem has put us now into a position to buy the building next door to Skokie Chabad. At this time Skokie Chabad rents part of this building for the Cteen Mooz Lounge for Jewish youth activities, and part of this building is a drycleaners. We have been renting the building for over ten years and finally now we will own it for Jewish teens to enjoy forever! The chance to purchase a neighboring property is a rare opportunity, and when it arises we need to grab it. The long term strategic importance of this can’t be overemphasized. We are now asking you to make a special donation specifically for the purpose of winning this match and buying this building. Over the recent months many people quietly pledged the majority of the funds needed to take advantage of the Walder Foundation’s match and to buy this building in cash. We are turning to you to help get the last $50,000 needed in time for the closing, which is scheduled for Monday, April 8th. Help us meet this challenge! PLEASE DONATE NOW and take advantage of this rare opportunity. Let’s not walk away from the Walder Foundation’s generosity and forgo the chance to buy the building. Please help! We can do it! There are just 48 hours! 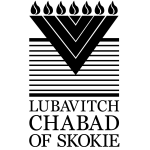 I would like to receive news and updates from Lubavitch Chabad of Skokie by email.